Home Office Business could not get cellular coverage in a basement home office. All calls out had to be made upstairs, and calls in went to voicemail. A husband and wife are Certified Professional Yacht Brokers with the North South Nautical Group. They work from a home office in British Columbia, but have never been able to rely on their cell phones for business use unless they stood outside or at a window. 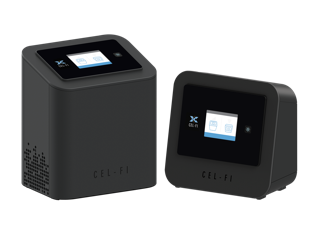 Novotech came up with the idea of installing a Cel-Fi PRO smart signal booster.